We at Diffraction Analysis are rarely early on our new year’s wishes. It’s in our french DNA to wait for the end of January (which conveniently brings us closer to celebrating the Chinese Year of the Rooster as well). But rest assured we are pleased to address you our best wishes for 2017 and hope that this new year will be full of interesting projects, successes, and personal fulfillments. • Gradually policy makers are starting to realize that infrastructure competition is unlikely to deliver universal fibre broadband. This acknowledgement will impact policy, although the process will be slow and gradual. 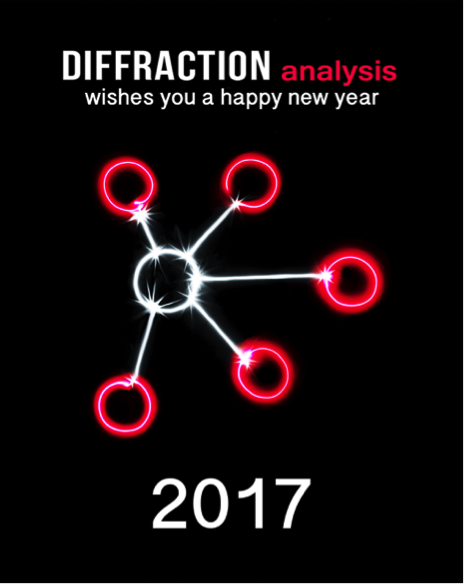 Diffraction Analysis is committed to support existing and new customers in anticipating and preparing for these challenges in the year(s) to come. There will be opportunities to be seized as well, and we will be here to assist in doing so as well. PS: if you happen to be in Marseille on February 14th – 16th for the FTTH Council EU Conference, drop us an email, we’ll be glad to meet you there.